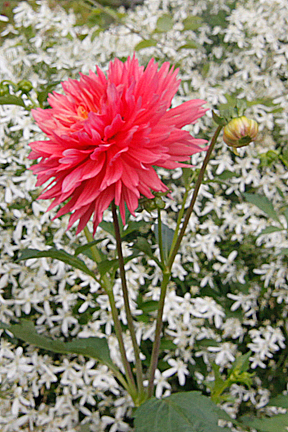 Many would say that Dahlias are truly the best flowers for the end of summer through the fall. They are tubers which require a bit of work in the spring to plant, and at the end of the season to dig up, but they perform like no other flower. Coming in all sizes, colors and many forms these flowers are knockouts in the garden and are long lasting and beautiful in arrangements. Plant a few next spring in full sun to perk up your garden in the late summer when other perennials are fading. They also work well in containers.